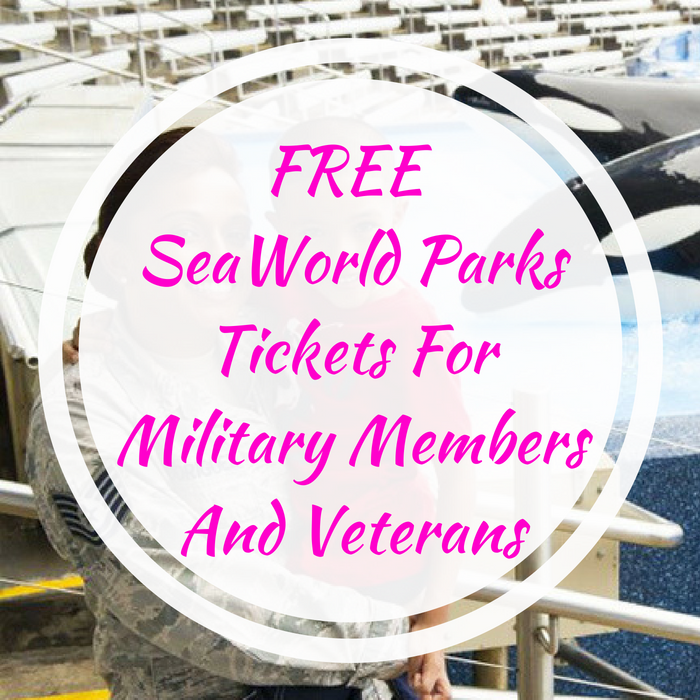 FREE SeaWorld Parks Tickets For Military Members And Veterans! You are here: Home / FREEbies / FREE SeaWorld Parks Tickets For Military Members And Veterans! For a limited time only! SeaWorld Parks & Entertainment is offering a FREE One Day Admission Ticket to all Active Duty Military, Activated or Drilling reservists, National Guardsman, U.S. Military Veterans, retired Veterans and retirees! This is for either SeaWorld, Busch Gardens, Sesame Place, Discover Cove or Aquatica Orlando for military personnel and as many as 3 direct dependents. Please note that offer is valid until 12/31/2018 for active duty military and 7/4/2018 for veterans. This is only available online or at participating military bases but not at the front gate. Go to Waves of Honor to register!